Flea Market Music, Inc – In my view one of the best all-round ukulele websites. Fun to explore. Ukulele Underground lots of great stuff including “how to” videos. Ukulele Go! A great site from across the pond aimed at beginners but it has loads of bits of tab, interviews, tips and generally anything ukulele related. Bondi Ukuleles. Some friends from "the land down under". They are also listed on the Purchase page. The Chord Genome Project. Fascinating website. Be careful going into to this one because you may never get out! Got A Ukulele. Great site with lots of stuff. Grab a cup of coffee. 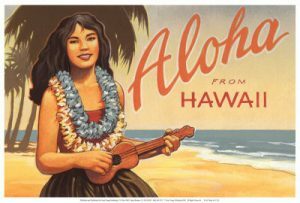 The Backward Ukulele Player – More information to read and hear for hours. Very interesting site. UKUKE – Another great all-round site from our friends across the pond. Catfish’s Closet – One of the most interesting collections of ukes I’ve seen. From the vintage to the bizarre. Moogly Moo paints ukuleles! Great stuff. Check it out.